McChip, a well-known tuning company for their performance kits, unveiled a special package for the current Mercedes SLS AMG supercar. The German specialists managed to boost the total output of the 6.2-liter engine from 571hp and 650Nm of torque to 706 horses and 793Nm of torque. In order to squeeze the extra power, McChip fitted the V8 powerplant with new sport catalytic converters, an improved ECU unit, new exhaust system and much more. 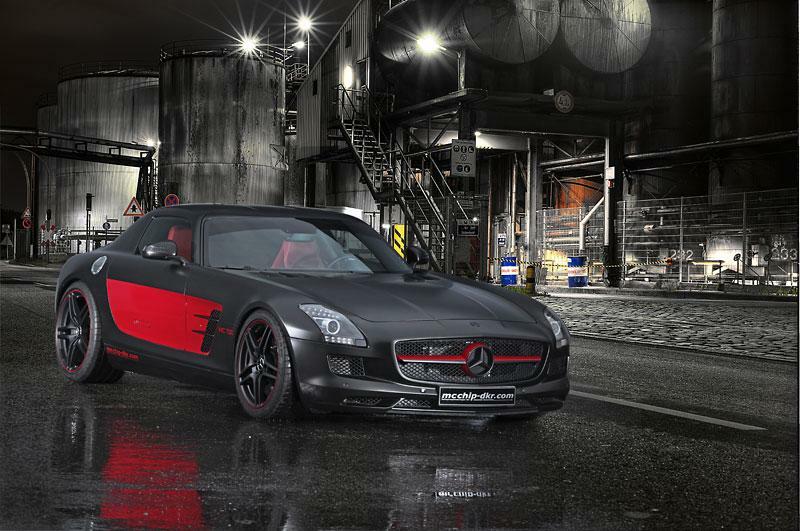 The two-color exterior finish is provided by CoverEFX and consists of a matte wrap priced from €5,999. The power boost costs a quite steep €78,999 while an improved HLS 4-sports chassis starts at €12,999. As we can see form these interior shots, McChip also provides few styling improvement at the interior. We talk about new seats, leather upholstery and a revised center console, all restyled in the same color scheme with the exterior. 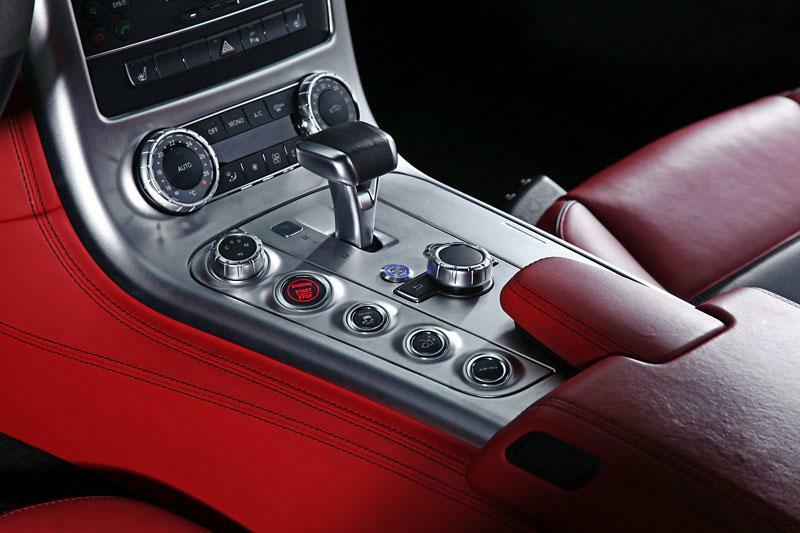 However, there are no pricing details for the interior improvements.